Actually, this problem has got nothing to do with the .NET 3.5 framework - that's just a red herring thrown up when you try to install Report Builder. You must install .Net Framework 3.5 on this computer - or must you? This occurs when you click on the tool to install Report Builder 3.0 from SQL Server Reporting Services Report Manager. 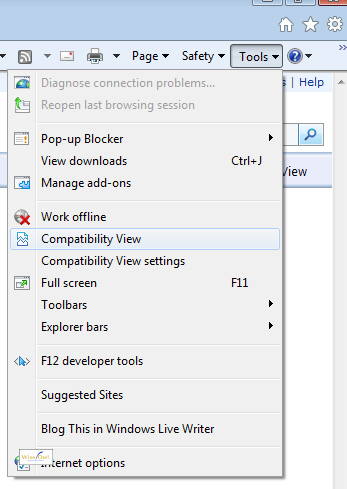 If you're using Internet Explorer 9, the answer is almost certainly that you need to view IE in compatibility view (ie make it look like an older version of IE). Choose the option shown on the left from the Tools menu to use compatibility view. You should now find that you can install Report Builder 3.0 without any problems!